Paige got to try ice cream for the first time this past week. 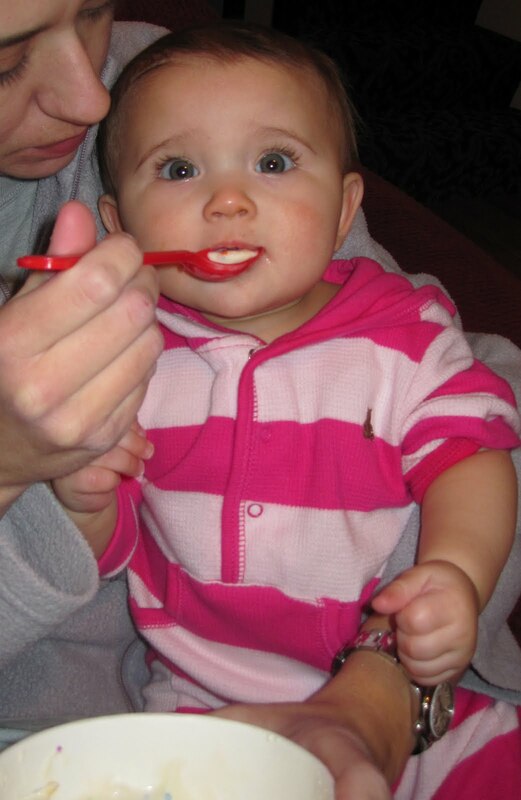 She's been eating from a spoon for a while now and when she saw Momma and brother eating ice cream she got agitated and demanded to try some. The first bite she made the funniest face, so Daddy ran and grabbed the camera. We got the rest of the tasting session on camera, which is cute, but that first face was the funniest and unfortunately not on camera. Paige also ate some puffs for the first time. They are great because they keep her busy for a long time and she gets great practice with coordination trying to get them in her mouth.